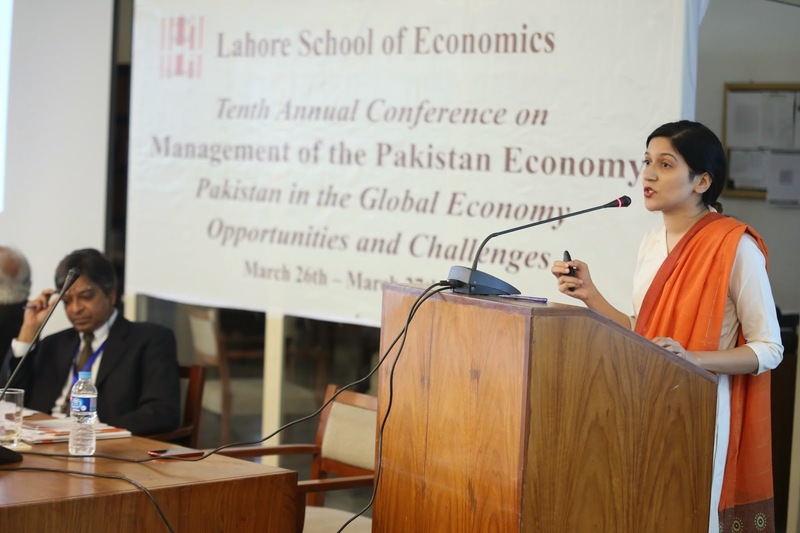 The Lahore School of Economics has launched Executive Education programs. 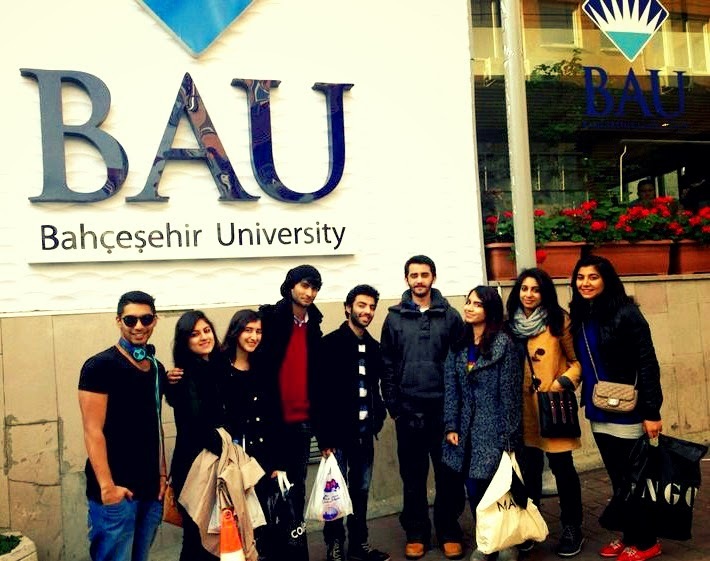 Spread over two cohorts, the first program was held from 17-18 and 24-25 March. 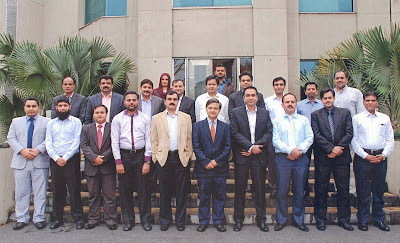 Some fifty senior and mid-level executives from CCL Pharma successfully completed the rigorous “Excellence in Sales Force Management” program conducted by Dr. Aamir Khan, Associate Dean (Executive Education) Lahore School of Economics. The program, based on the famous case method, pioneered by the Harvard Business School, focused on evaluation, motivation and restructuring of the sales force employed in the pharmaceutical sector. 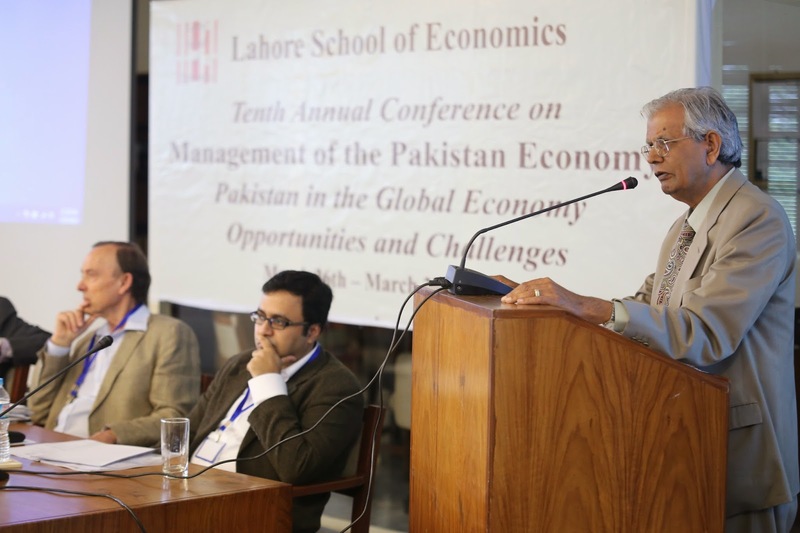 Amidst distinguished economists, academicians and policymakers from both the national and international platforms, the Lahore School of Economics Tenth Annual Conference on Management of the Pakistan Economy concluded at its Main Burki Campus on Marc 27, 2014. 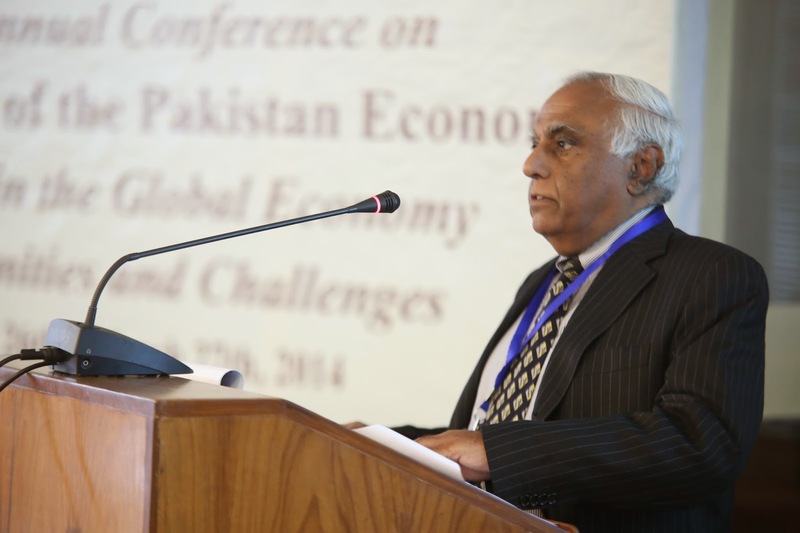 The theme of the two days Conference was “Pakistan in the Global Economy – Opportunities and Challenges”. 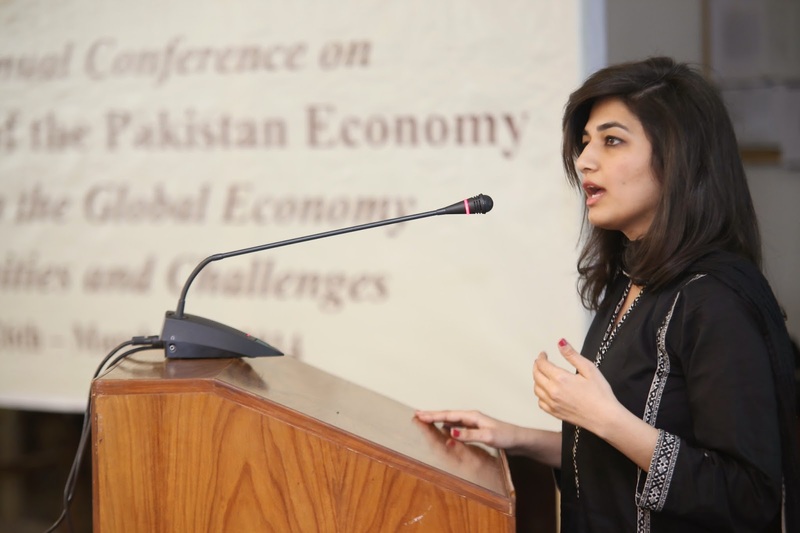 The first day of the Conference (March 26, 2014) witnessed an interesting discussion on some key macroeconomic issues confronted by Pakistan including macroeconomic management under constrained balance of payments, exchange rate, imports and the world trading order. Dr Shahid Amjad Chaudhry, Rector, Lahore School of Economics, inaugurated the Conference by welcoming all the speakers and guests, with Dr Rashid Amjad, Director, Graduate Institute of Development Economics, Lahore School of Economics, delivering the keynote address focused on the historical perspective on growth spurts and reversals in the Pakistan economy. Pakistan and India have not yet normalized trade relations despite sharing a common border for more than six decades. Although significant developments have been made since the beginning of 2011, benefits of bilateral trade have not been fully obtained. Pakistan is yet to reciprocate the MFN status, granted by India upon formation of WTO. This study investigates the prudence of coaxing these countries to liberalize trade by studying the global competitiveness of Pakistan’s industrial sector so as to derive direction for policy makers. A Revealed Comparative Advantage Index for manufacturing products at HS 2 digit level code is constructed for Pakistan, India and China for the years 2003 to 2012. The study identifies the changing pattern in comparative advantage of Pakistan’s manufacturing industries. The study concludes that 18 industries should be protected upon liberalizing trade with India. These industries are termed as ‘vulnerable’, as they have moved from either borderline competitiveness to becoming uncompetitive or vice versa. The study also suggests that excessive concessions granted to China in the FTA and resistance to opening up trade with India may have resulted in inefficient trade i.e. imports from a less competitive partner and exports to a less lucrative market. The study establishes direction for further research to establish an ex ante impact of trade with India on the economy via change in production levels of these vulnerable industries given the impact of free trade with China and the availability of Chinese substitutes. Pakistan and Turkey have long hailed a brotherly relation but lately the relationship between the two countries has been witnessing a new height in lieu of the increasing cooperation between the two governments in diversified sectors of economy and a proposed Preferential Trade Agreement. This paper explores the trade relationship between Pakistan and Turkey, in an attempt to analyze the potential gains for Pakistan under the proposed Preferential Trade Agreement. The paper evaluates the existence of potential trade opportunities using descriptive statistics and trade indices. More specifically, the paper computes a Trade Complementarity Index, Export Similarity Index and the Intra industry Index. 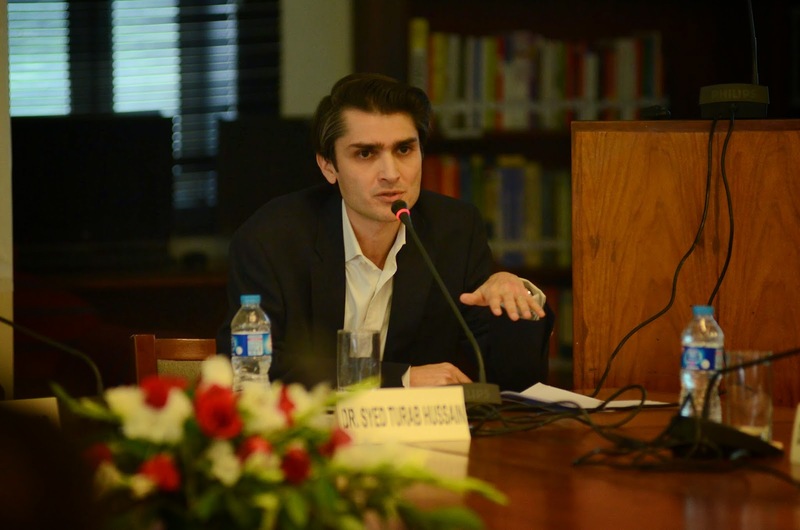 The findings of the paper suggest that there lies an opportunity for Pakistan to exploit in its trading relationship with Turkey as Pakistan has been enjoying a trade surplus which can be expanded further, and strong export similarities and intra industry trade indicate the presence of greater opportunities for firm synergies between the two countries which can greatly facilitate Pakistan in achieving greater value addition and broader market base for its exports. Therefore, the government of Pakistan should lobby more strongly for the proposed Preferential Trade Agreement (which may later evolve into a Free Trade Agreement) and intelligently leverage this trade agreement in such a way that Pakistan can maximize its potential opportunities. In this paper, we look at historical trends in diversification of exports in Pakistan. As a first step, we use the Hirschman index, to quantify the degree of diversification in Pakistan’s exports. As a next step we analyzethe structure of Pakistani exports from the lens of ‘traditionality’. To that end,we construct industry-specific average cumulative export experience functions i.e. a ‘Traditionality’ indexof all two-digit export industries in Pakistan from 1972 to 2012. This is useful in distinguishing between traditional versus non-traditional export industries in the country. Next, this study attempts to identify episodes of structural change in the export sector since 1972. For this purpose, the traditionality index is re-calculated using 5-year interval periods and the across-industry variance of this index is used to study the degree of structural change in the medium term in the export sector. Periods in which the inter-industry variance is low are interpreted as times when export industries experienced uniform patterns of export growth (and thereby no structural change) while periods in which the inter-industry variance is high are interpreted as times when export industries experienced varied patterns of growth and thus went through an episode of structural change. Finally we study the relationship between structural change in the country’s export sector and GDP growth, growth rate of world trade, trade liberalization in the country and the degree exchange rate overvaluation. 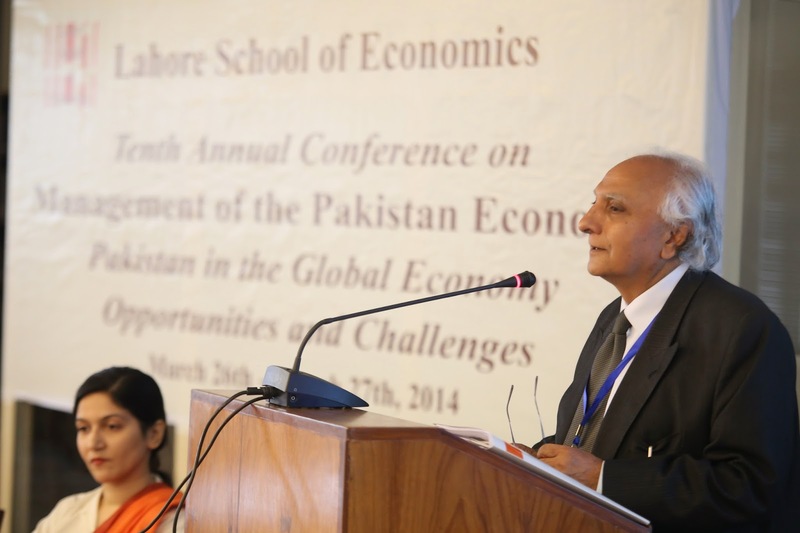 Dr. Naved Hamid is Professor of Economics at the Lahore School of Economics. He has a BA (Hons.) in Economics from Cambridge University, UK, and a PhD in Economics from Stanford University, USA. 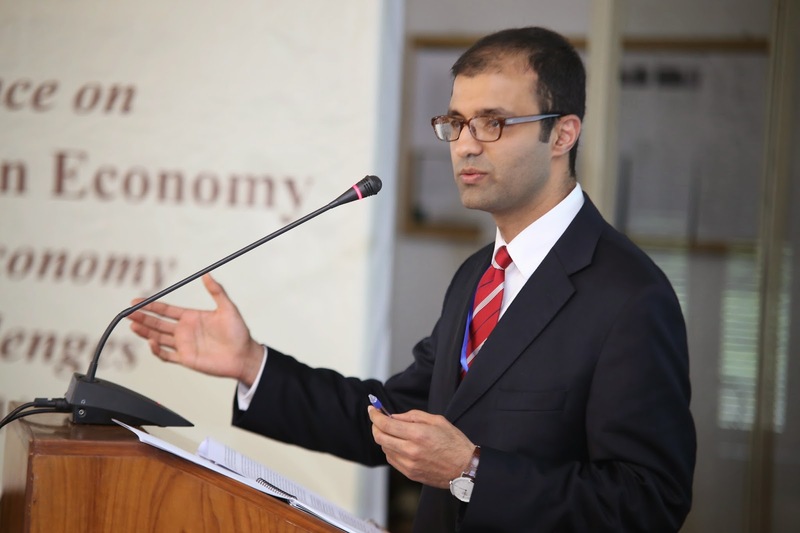 Prior to joining the Lahore School of Economics, he was at the Asian Development Bank (ADB) where he worked in various capacities, including ‘Acting Chief Economist for South Asia’ and Deputy Country Director and Team Leader for Pakistan. 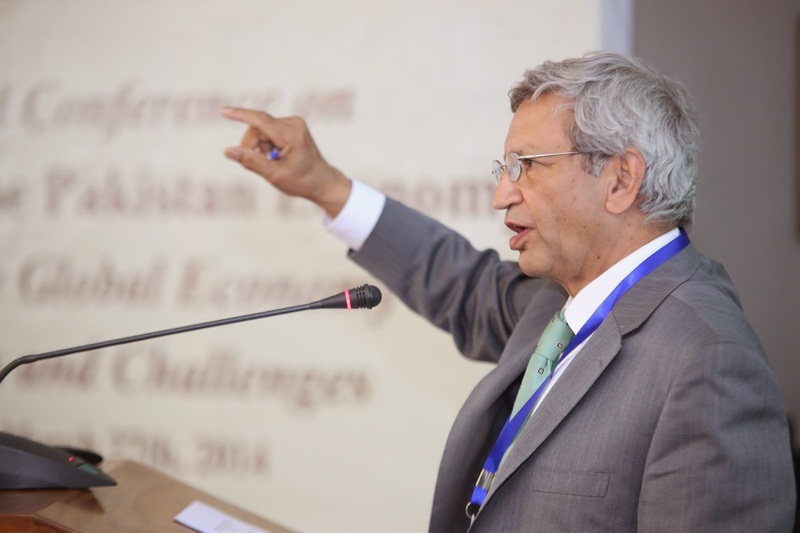 Before joining ADB he was Professor of Economics at the Lahore University of Management Sciences. This conference paper aims to give a descriptive overview of the quality and compliance of Pakistan’s top export product categories. 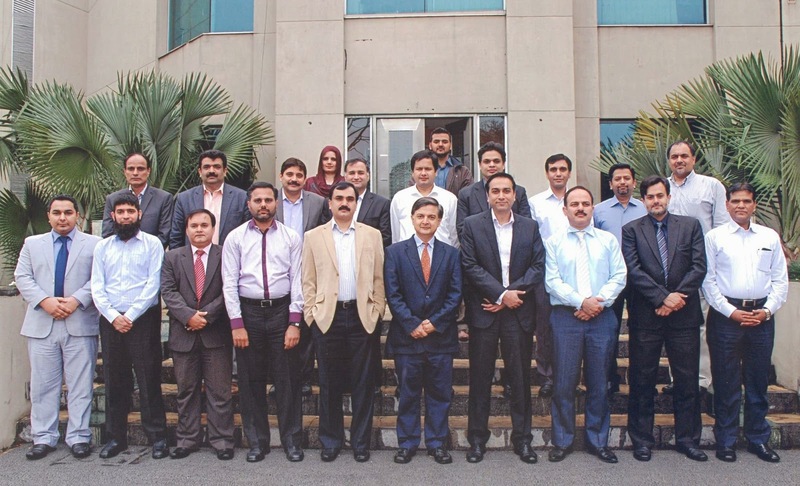 Due to high competition, innovations in technology and strict measures of quality requirements, the time has come for Pakistan to build a holistic approach in a systematic manner for its industry in order to not just meet but exceed the international quality standards and certifications for its exports. 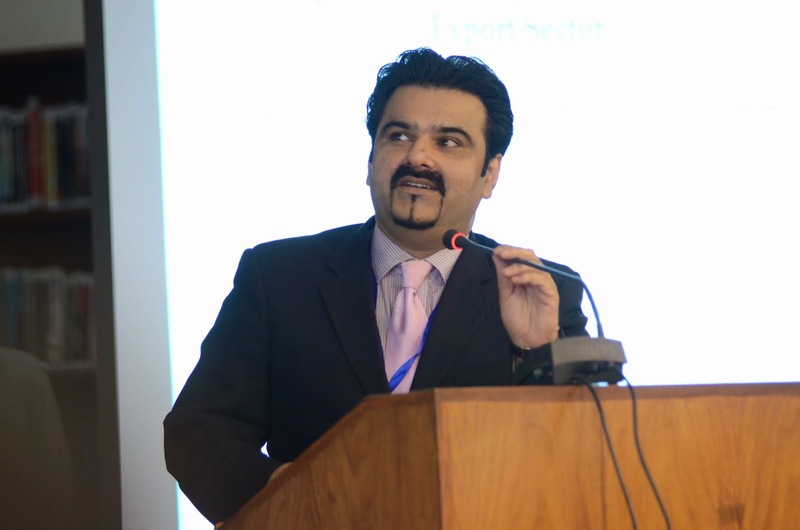 This paper focuses on Pakistan’s exports in textiles (specifically Cotton Cloth, Knitwear, Cotton Yarn, Ready Made Garments and Towels) and Rice and their compliance with the global standards and the gaps which needs to be filled in order to have a sustainable growth of high quality exports to major global markets. 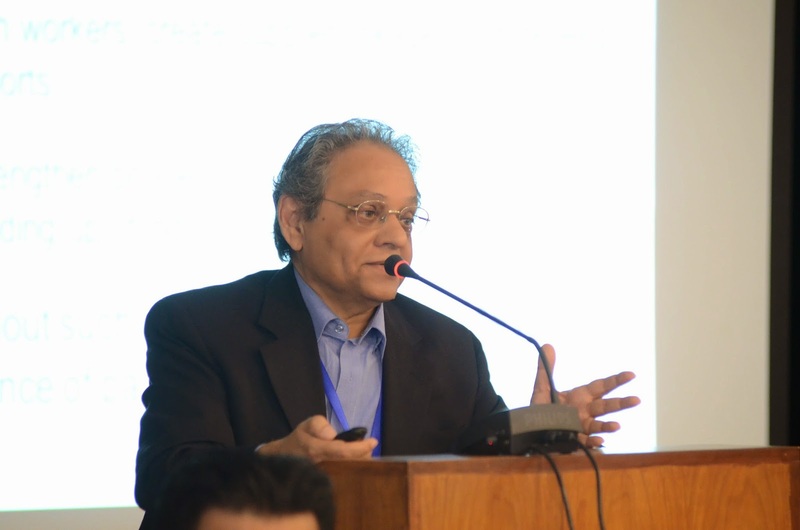 The paper begins with the introduction, top export categories, key dimensions of international quality standards, specific standards and requirements for textiles and rice, quality assurance infrastructure in Pakistan, identification of major gaps, and policy recommendations in order to improve the state of affairs. 1959-72 these years saw the emergence of Pakistan’s economy at the take-off stage in Karachi and the conditions of pre-take off stage in Lahore, as per W.W. Rostow’s economic description of these stages. Bedford Rocket (GM) truck was under assembly and progressive manufacture in Karachi, while Vauxhall Victor (GM UK) car and Dodge Dart were also assembled here. Daihatsu Tri-wheeler was also assembled in Karachi. Tankers, bowsers and trailers were assembled on Volvo and Mack truck chassis. 1972 saw the emergence of the socialist PPP regime come into power, nationalize all major engineering related concerns and bring the State of Pakistan itself into the business arena. This saw the downfall and dis-heartening of the industrial class and a period of reorganization of the local automotive sector. The industry was highly regulated until early 1990. However the Government of Pakistan had introduced policies leading to progressive localization of automotive sector, through tariff regime. From the production level of around 40,000 units in 2001, the passenger car/light commercial vehicles segment produced over 200,000 vehicles in 2007. The 500% increase in vehicle production over a small period of only 6 years, was a remarkable achievement. The motorcycle production has also touched the level of 1.8 million units in 2011-12. This paper makes the case for a vigorous policy thrust to support investment led growth. 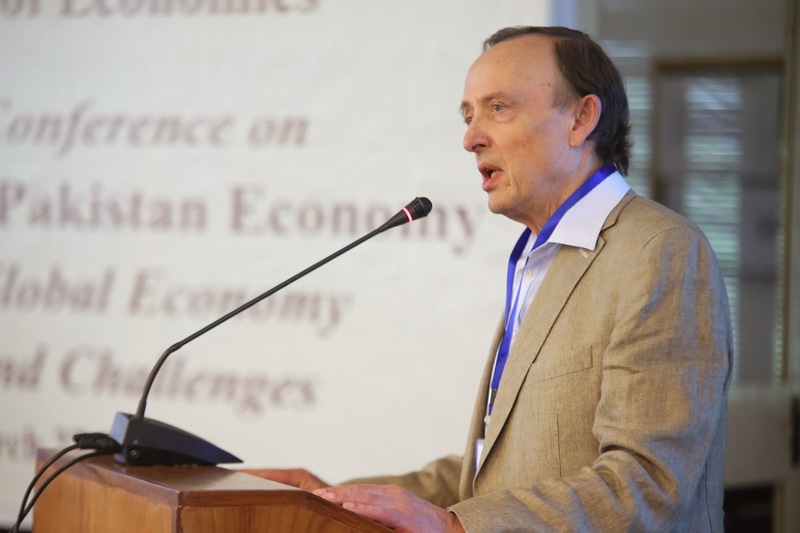 The Pakistan economy has not maintained a sufficient level of capital formation to sustain growth over the long-term. Two-thirds of current growth is driven by consumption and not investment: that needsto be turned around. Government needs to put in place an investment regime that motivates and induces industry to invest, innovate and reinvest.Foreign direct investment can play an important role. There is also need for deliberate polices to boost technological capabilities in the enterprise sector. East Asia did this with great success, creating a dynamic process of capital formation and technological learning that upgraded productive capacity and underpinned export success. In this paper we focus on a set of Asian countries that have been successful in increasing exports and find a common industrial strategy: First countries that have increased their exports have focused on increasing exports in those sectors where they already have expertise and at the same time slowly developing new export sectors. Second high growth Asian economies have developed their export sectors by making significant moves up the quality ladder and in particular moving away from low value added to higher value added exports. Third, there is no single economic policy that has worked across Asia but rather successful exporters have used two or three policies in tandem to boost exports. Finally the only consistent factor that has an impact on high value added export growth is domestic credit to the private sector. These results point to the urgent need for a coherent industrial strategy to boost Pakistani exports. There are a variety of stylized facts about exporters that have been noted in the new literature on international trade based on firm-level data. These include low levels export participation among firms, small shares of export sales in firm revenue, larger firm size and higher levels of productivity, skill, and capital intensity among exporters. In this paper, we seek to see the extent to which these stylized facts fit the experience of firms in Pakistan using two cross-sections of firm level data, that is the Census of Manufacturing Industries (CMI) 2000-01 for Punjab and the World Bank Enterprise Survey data (2006-07) for all Pakistan. We find similar levels of export market participation but very large shares of export sales in firm revenue for those who do, as compared to the U.S. sample studied by Bernard et al (2007). We also find support, like many other studies, that exporters exhibit significantly higher total factor productivity and are larger in terms of employment than non-exporters. Looking individually at the eight largest sectors comprising more than 80 percent of the CMI-Punjab, with few exceptions exporters have higher labor productivity and offer higher compensation to workers, but use more capital per worker and more imported inputs. This report explores the impediments faced by the Small and Medium Enterprise (SME) sector in Pakistan. Within SME we select the Light Engineering sector, in particular the fan and sports goods industry. Using detailed stakeholder interviews, we find that the fan industry appears to be stuck in a trap of low profitability, poor quality production and an inability to access international markets. This cycle is perpetuated by low levels of trust and poorly functioning credit markets. The sports good industry, on the other hand, is outward oriented and most firms export their products. In this sector, firm growth is constrained by the degree of product diversification and innovation, which depends largely on whether or not a firm is a direct supplier to a major brand. The methodology of detailed qualitative research allows us to probe into the various inter-linkages and causal relationships amongst these and other constraints, and also allows us to capture a time dimension in the growth experience of firms in the industry. Both are important contributions to the prior research that has been based on large scale quantitative data, and allow us to make better informed policy recommendations. It is commonly accepted that industrial policy was crucial for forcing structural change and technological upgrading within industrial sectors (as well as export growth) within the successful Asian economies between the 1950s and 1990s (Khan. Amsedn, Wade, Chang). It is also argued, but less commonly that such a practice characterised the now developed econonies of Western Europe and North America (Chang, Bairoch). Whether such industrial policy provides a lesson that can be learned by other contemporary developing countries is dismissed by the World Bank (1993) who argued that the very demanding organisational and institutional pre-requisites for successful industrial policies do not exist in most developing countries. Very widespread is the argument that tighter rules from the WTo do not allow developing countries to follow the pro-active industrial policies of earlier eras and that such actions amount to a 'kicking away of the ladder' by the WTO at the behest of developed countries fearful of potential competition from newly industrialising developing countries. Other arguments have focused on the impact of trade and capital account liberalisation reducing the scope for activist policy intervention by the state. The paper’s basic premise is that an improvement in Pakistan’s export performance is crucial to raising economic growth. After examining the reasons generally given for the poor export performance, it concludes that the country’s very slow productivity growth was the single most important factor that hurt competitiveness. It argues that a coherent and articulated industrial policy is required to overcome this disadvantage. While the experience of the East Asian economies offers useful lessons, policy must accord with Pakistan’s own conditions, as they are in many ways different. The formulation of industrial policy should involve key stakeholders, particularly, the private sector. The paper identifies certain factors that should underpin the new industrial policy, notably, the changed basis of international specialisation and rules governing world trade. This paper investigates the conventional import demand function of Pakistan using time series data sourced from the World Bank Development Indicators from 1970 to 2010. Using the Vector Error Correction model and Impulse Response Functions it has been shown that for the stated period relative prices and income lose their significance as long run determinants of import demand therefore raising the need for additional determinants. Comparison of residuals of the conventional import demand function and those of the model having Terms of trade and foreign exchange availability in addition to conventional parameters as determinants of import demand, shows that much of what stands undeterministic in the former model is taken care of in the latter model. Furthermore this paper also explores a peculiar trend of falling imports to GDP ratio of Pakistan from 1980’s to 2000 which is unusual for a developing country. In a subsidiary regression analysis for this period only, falling net capital inflows are suspected as the reason for this persistent fall in imports to GDP ratio for these twenty years. Recognizing the significant contribution of trade facilitation in reducing costs and time in cross-border trade, the WTO Members adopted the new Agreement on Trade Facilitation (TFA) during the last Ministerial Conference in Bali. WTO Members are now gearing themselves to implement the commitments ensuing from the TFA, in accordance with the special and differential treatment for developing countries. Pakistan needs to import a variety of products to accomplish the increasing demands resulting from its industrial and consumer requirements. Major imports include items namely Machinery, Petroleum Products, Chemicals, Transport Equipment, Edible Oil, Iron, Steel, Fertilizer and Tea which together constitute around 70 percent of total imports. To strengthen trade ties especially with neighboring countries, Pakistan has undergone various regional and bilateral trade agreements which encompass various trade policies ranging from imports substitution to exports promotion. This paper will critically analyze the import structure and policy of Pakistan over the last three decades. It will also conduct an empirical analysis to find the determinants of imports especially after adjusting the role of regional or bilateral trading arrangements. The paper will also highlight potential areas where Pakistan can enhance its trade. Regional trade has been an important factor in the economic success of many countries. Within most trading blocs, intra-regional trade composes 40 percent or more of these countries’ individual trade; however, for the regional arrangements of which Pakistan is a member, intra-regional trade composes less than 5 percent. Pakistan’s strategic location is its greatest asset, but it has not leveraged this to its advantage.Until the 1960’s, Pakistan was a rather forward looking country. Our manufactured exports were higher than the manufactured exports of the Philippines, Thailand, Malaysia and Indonesia combined. Since the mid 1960’s, our policies have not been favourable to promoting trade and economic development. This paper traces the evolution of “discriminatory” international trading arrangements – regional trade agreements (RTAs) that offer to their members better market access to each other’s markets than what is available under the WTO, and preferential trade agreements (PTAs) that offer to developing and least-developed countries non-reciprocal market access to certain markets. The number, coverage and depth of RTAs have seen a tremendous increase in the last quarter of a century. Asia-Pacific, Europe and North America are at the forefront of this activity while most of Africa, Latin America, Middle East and South Asia are lagging behind. Completion of negotiations for the “mega-regionals” – the Transpacific Partnership (TPP) and the Transatlantic Trade and Investment Partnership (T-TIP) - may take the RTA game to an even higher level of deeper integration among dynamic economies. But the evidence does not suggest that the world is dividing into blocs. Instead there are several degrees of overlaps among RTA memberships. However, countries at the margin of RTA activity may be in danger of not benefitting from the growth in international trade. Devaluation of a currency in terms of foreign currencies or metallic standards was for long considered to be undesirable and, if unavoidable, a sign of failure. Attitudes have since changed and devaluation is thought to bring advantages, especially by making economies more competitive exporters. This paper is intended to show that it has disadvantages that outweigh any supposed advantages, notably its effects on inflation, income distribution, service on foreign debt and incentives. It does so by describing in concrete terms the relations between foreign and domestic prices and the costs of untradable goods and services that are components of the price of any good in any domestic price index. It also discusses te motives, official and unofficial, that have prompted the monetary authorities of Pakistan to make a practice of regular depreciation of the rupee and to question their justification. 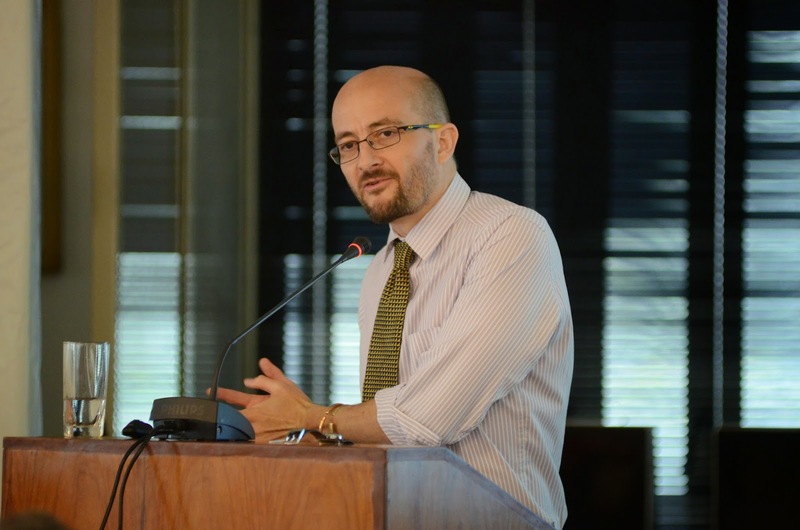 "One of the most pressing issues concerning policy makers today is the choice of an exchange rate regime. Despite that fact, if authorities focus on the following principles, namely, full implementation to ensure credibility and synchronization with domestic realities and economic infrastructure, the list of alternative options could be narrowed down. 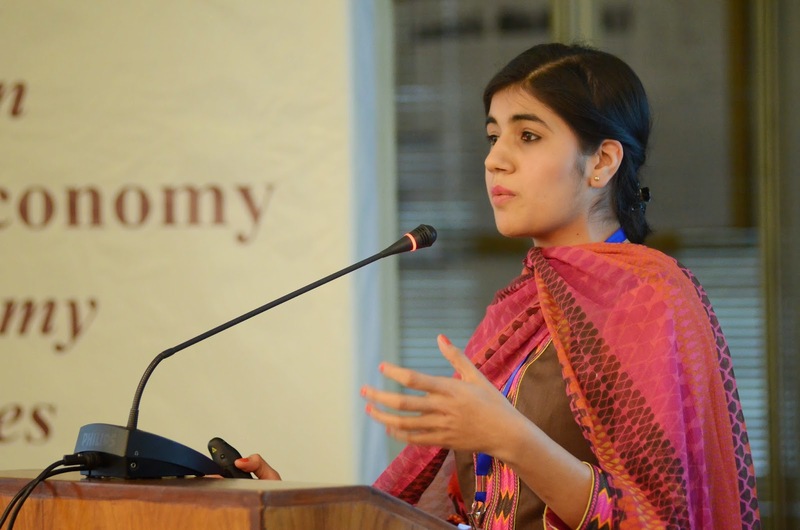 This paper attempts to propose an optimal exchange rate regime to the monetary authorities of Pakistan (SBP) based on a historical study of the outcomes and performance of different monetary stances that have been taken for the last forty years." During the waning days of the year 2013, the people of Pakistan were enlightened by the President of the country as a parting thought of the year,….”the begging bowl can’t be broken..…people should be patient… the debt of Pakistan has increased from Rs 6700 billion in 2008 to Rs 14800 billion in 2013….only through democracy Pakistan can develop….all institutions, media, political parties should…do more.…” With such exhortations from President, the year ended. 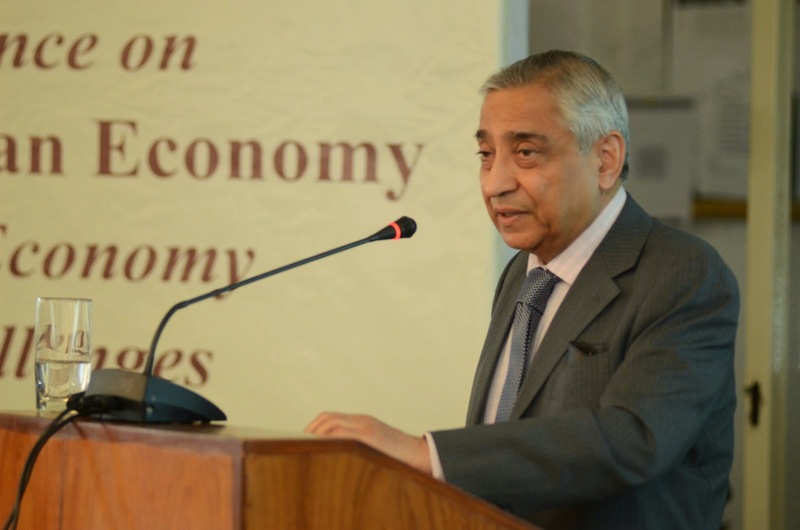 Mushtaq Khan joined the State Bank of Pakistan in 2009 as Chief Economic Adviser, Policy Development. 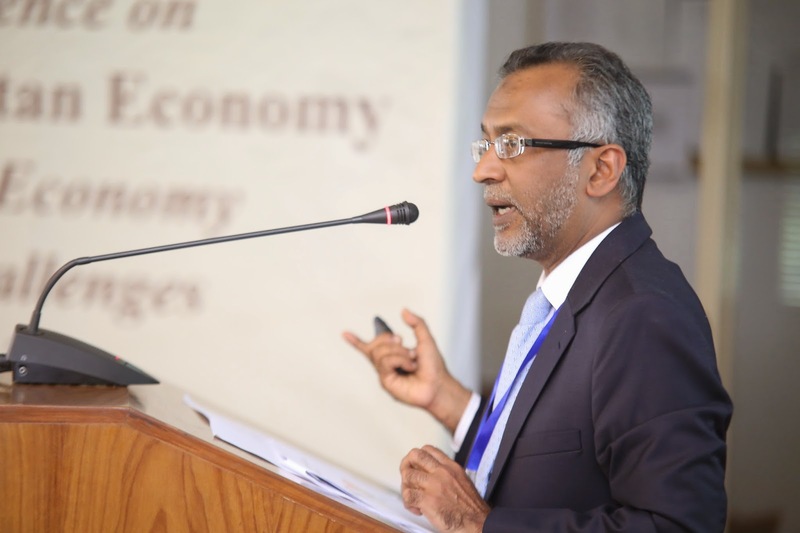 Mainly associated with the Bank’s policy guidance on macro challenges & projections, monetary policy, PSEs and managing SBP’s flagship publications. 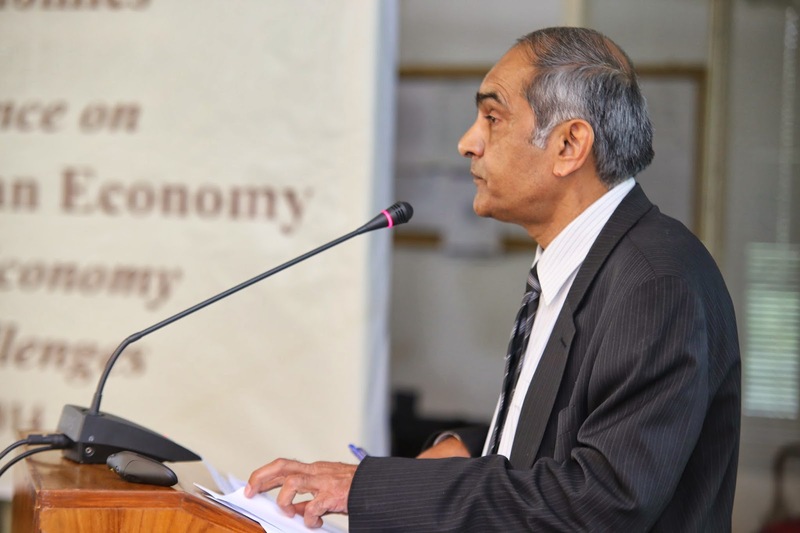 Dr. Khan was previously with the Citigroup, London as Director and Cluster Economist from August 2006 – February 2009. Working with the Sales & Trading team, published extensively on political and economic developments in the MENA region and Pakistan. Dr. Khan was selected as the Pakistan Scholar for the year 2005/06 for the Woodrow Wilson Center for International Scholars, Washington, DC. He has been associated with Citibank, Dubai, UAE and Karachi, Pakistan as Vice President & Chief Economist from April 2002 – August 2005. He holds degrees from Vassar College (A.B in Economics) and Stanford University (PhD in Economics). 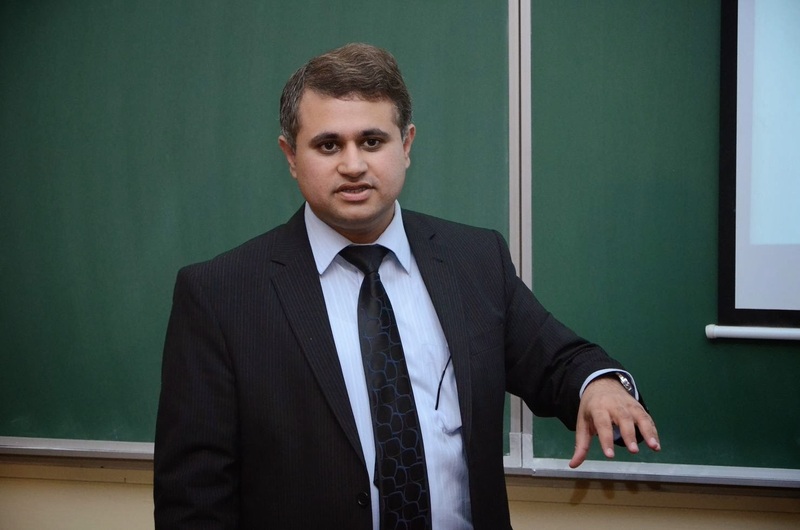 His Primary Fields of Research are Development Finance; Money & Banking; International Trade & Finance and Macroeconomics. The design and operation of monetary policy has evolved considerably over the past two decades. This paper examines how these developments have been incorporated into Pakistan’s monetary policy framework. The analysis focuses on the relationship between monetary policy and inflation, and then on inflation and economic growth. 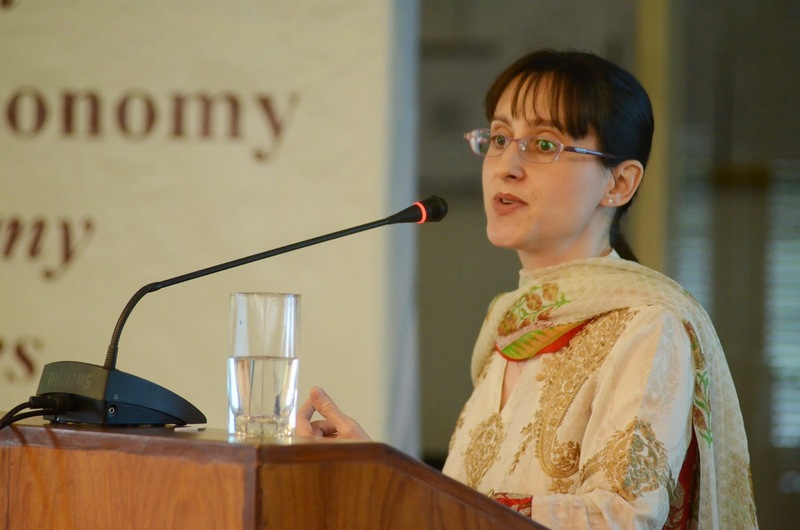 It is argued that the State Bank of Pakistan has often found itself facing the classic dilemma of operating an independent monetary policy in the context of an open capital account, an exchange rate target, and an economic growth objective. Adopting an inflation targeting regime would be a more appropriate way to conduct monetary policy, as other countries have found, and keeping inflation low would have beneficial effects on long-run economic growth. 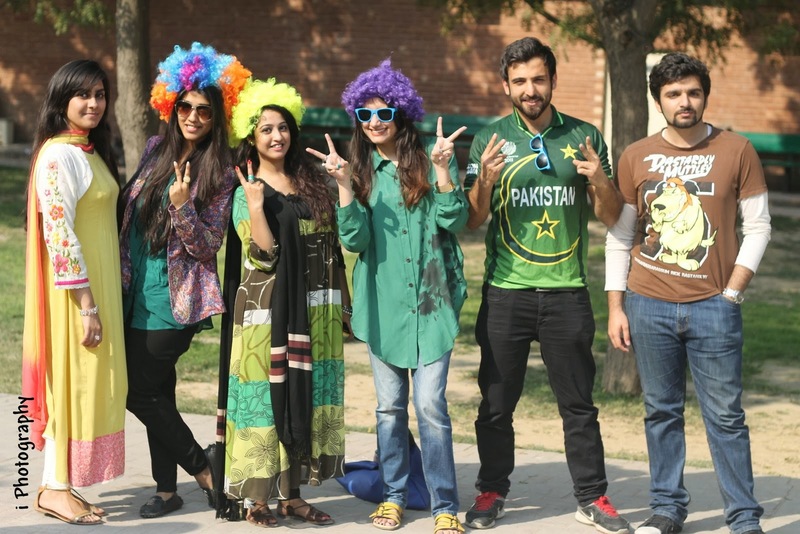 Pakistan’s sixty-seven years history has been characterized at regular intervals by spurts of high economic growth followed by periods of low to moderate growth. The recent prolonged recession accompanied by high inflation – stagflation – over the last five years (2008-13) has focused attention on the causes of these stop-go cycles and measures needed to break-out into a high and sustainable growth trajectory. The paper reviews the earlier and more recent explanations of these growth cycles and presents a new periodisation and framework to analyse and judge Pakistan’s economic performance. 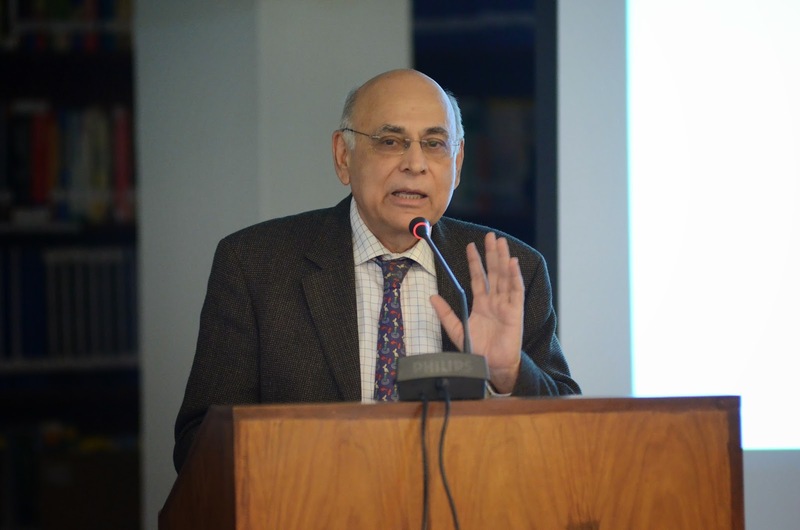 It argues that while Pakistan has displayed considerable resilience in facing up to the three major watersheds in its economic history – partition in 1947, the break-up of Pakistan in end-1971 and the Russian invasion of Afghanistan in 1979 - the continuing impact of the last of these has been far reaching, especially its negative impact on Pakistan taking advantage of the quickening pace of globalization that followed. Drawing on this historical experience the paper poses the question whether the new democratic dispensation will finally break this cycle and what measures would be needed for it to do so. 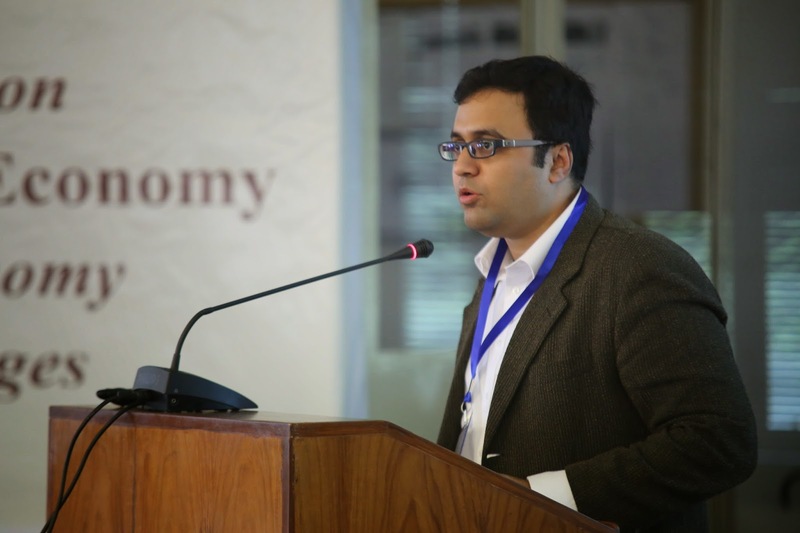 Mr. Monis Rahman, CEO – Rozee.pk visited the Lahore School of Economics on March 19, 2014 and delivered a lecture on Entrepreneurship to the graduating students of BBA (Hons) enrolled in the course of SME and Entrepreneurship. He advised the students that they should focus on the companies which are in the growing or initiating stage because they are the ones which will soon become big. Mr. Rahman shared his success story - he started his career as an internee in Intel and then ended up being the CEO of Rozee.pk. This was surely not an easy journey. He said that success is a rocky road but at the end of the day it is all worth it. Mr. Monis Rehman was the first one to initiate the first social networking site for the Muslims called “naseeb.com” in collaboration with Reed Haufman, the founder of LinkedIn. Mr. Aman Siddiqui, COO HBL was in Lahore School of Economics to give a lecture to the graduating class of MBA, enrolled in the Investment Analysis and Portfolio on March 13, 2014. 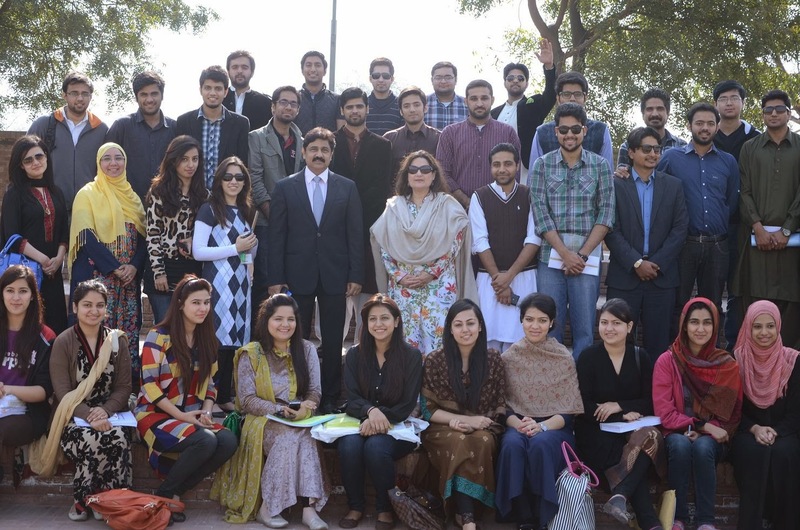 Mr. Siddiqui delivered a very unique and inspirational lecture to the audience. A different theme altogether from what the bankers talk about usually. The lecture comprised of tips, guidance and advice one should follow in one’s personal as well as professional life. 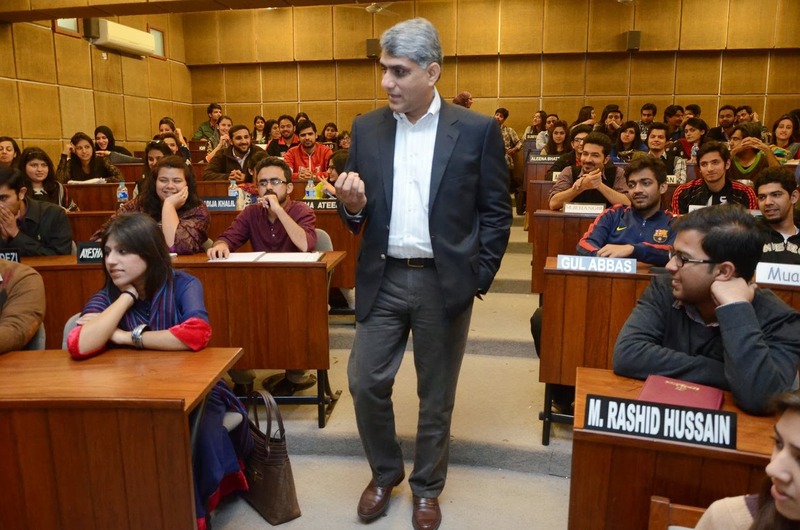 Mr. Arsalan Khan, Sales head at Nestle visited the Lahore School of Economics under the Distinguished Professional Lecture series programme and delivered a lecture to the graduating MBA class on On Monday, March 17, 2014. Mr. Khan started off his presentation by talking about the role of sales management. The speaker then talked about the difference between planned and impulse purchase. He said that the key is to make sure that a person should understand his shopper and his behavior in respect to his preference and how his shopper reacts to different channels. Observing and understanding people to determine the channels they shop from. He also talked about the main trends in sales in the last ten years. Lahore School of Economics students participated in Punjab Youth Festival and excelled in many events. 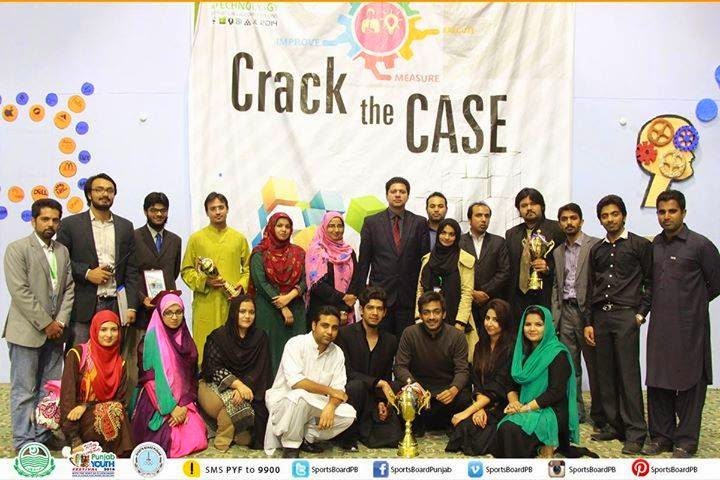 Lahore School team comprising of Rubab Asmat Zahra, Muaz Sheikh, Rubab Ali, Gul Abbas and Muhammad Mohsin Shahzad took part in Crack the Case event and got first position where as second team from Lahore School (Hamza Shafiq, Sami Rashid, Zia Ullah Khan) stood second. 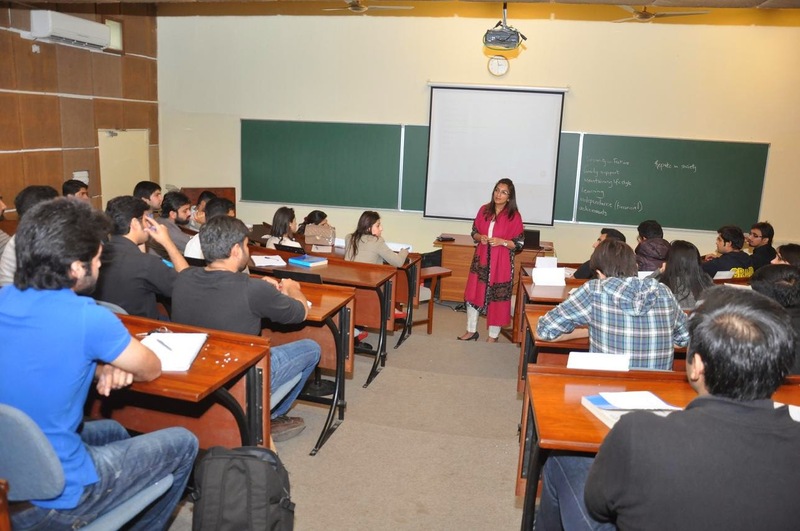 Ms. Fatima Asad, Executive Director at Abacus Consulting visited The Lahore School on March 11, 2014, as a guest speaker to give a talk to the graduating BBA Hons students. The purpose of the talk was to give students tips on grooming, interview skills and resume writing. Ms. Asad asked all students to have an objective in life. One should know ones strengths and weaknesses along with skills that could be used as ones unique selling point. She said that relationships are a direct reflection of their success in future life. Social skills along with academic skills are equally important to be employable. 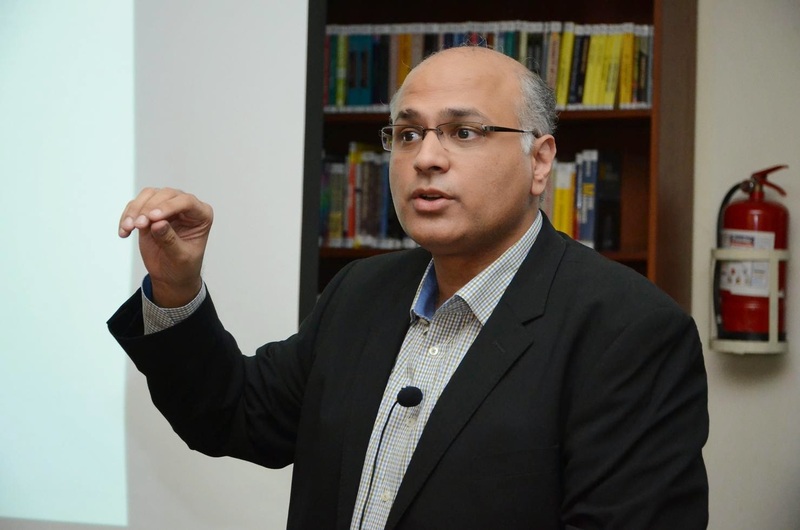 Mr. Tariq Ahmed, Director Technical, Toyota Indus Motors, visited the Lahore School of Economics on the 7th of March, 2014 and delivered a lecture on Kaizen - a Japanese term which means continuous effort for betterment, to the graduating MBA class. While quoting Thomas Edison “I will not say I failed a thousand times, I will say I discovered there are thousand ways that can cause failure” Mr. Ahmed said that the true definition of Kaizen is a search for continuous improvement not only in work life but in personal life which includes delivering quality of products and services. 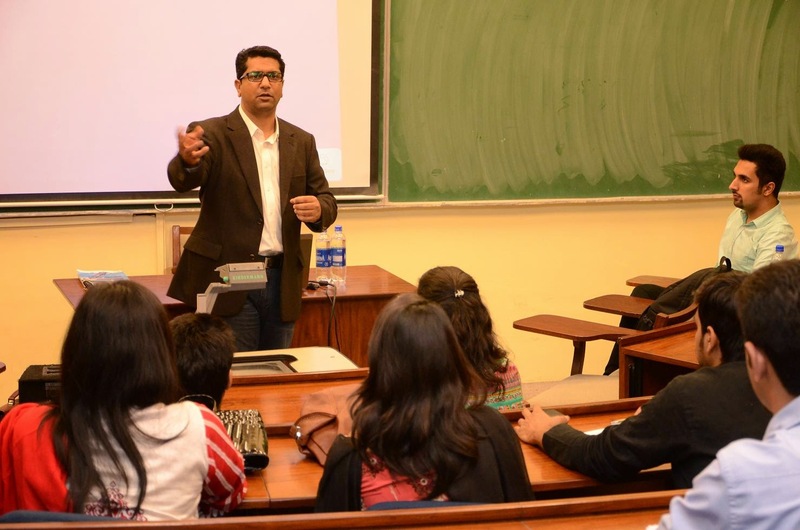 Mr. Adeel Anwar, Director OD and Training Warid Telecom, visited Lahore School of Economics and delivered a lecture on Grooming, Resume writing and Interview Tips to the graduating BBA class. He talked about self branding and how a person should sell himself to be successful in such a competitive world. According to Mr. Anwar 93 percent of what sets the candidate apart is the choice of words, the speed and pitch of the voice and 70 percent in the clarity and quality of the voice. “Employers judge the candidates according to different traits to analyze the mindset of the person,” he said. Also communication skills, interaction, flexibility, inter-personal and intra-personal skills are what the interviewer looks for. 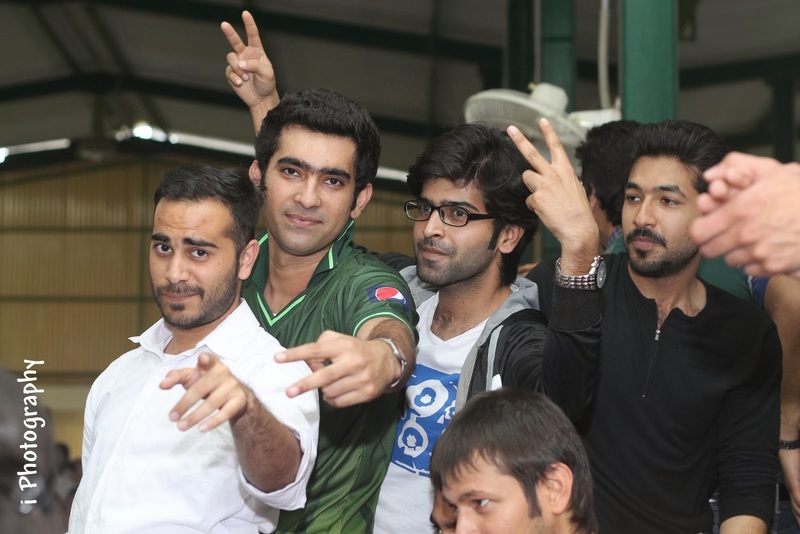 Enjoying Asia Cricket Cup 2014 on large screen in Lahore School Garden Cafe [Images: Intisar Haider - Alumni 2014]. “Your ability will take you to the top, your character will keep you there” – John Wooden. 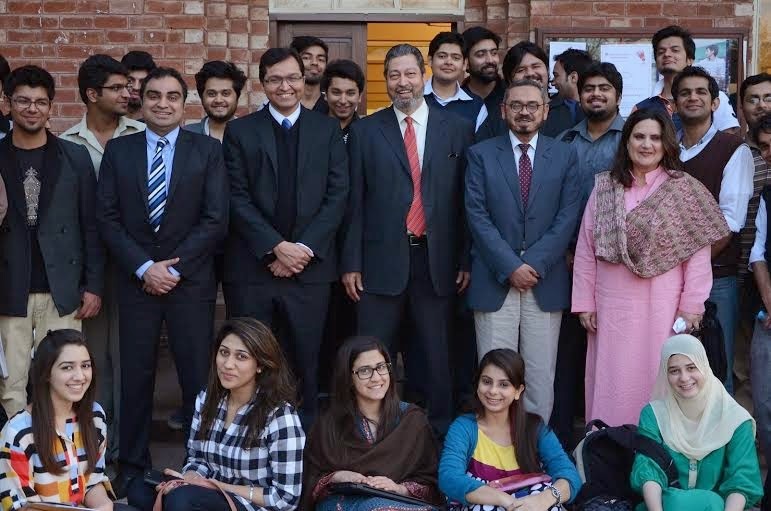 On Monday, March 3, 2014 Mr. Nadeem Rehmani, Director Metro Cash n Carry, visited the Lahore School and delivered a lecture on Marketing Strategy to the graduating MBA class. 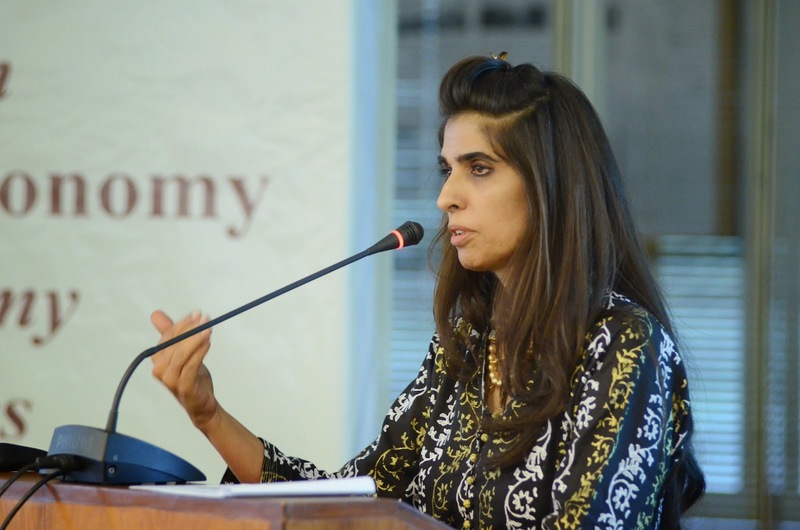 The guest gave the audience some useful insight on how metro as a B2B and B2C merchandiser is operating in Pakistan. 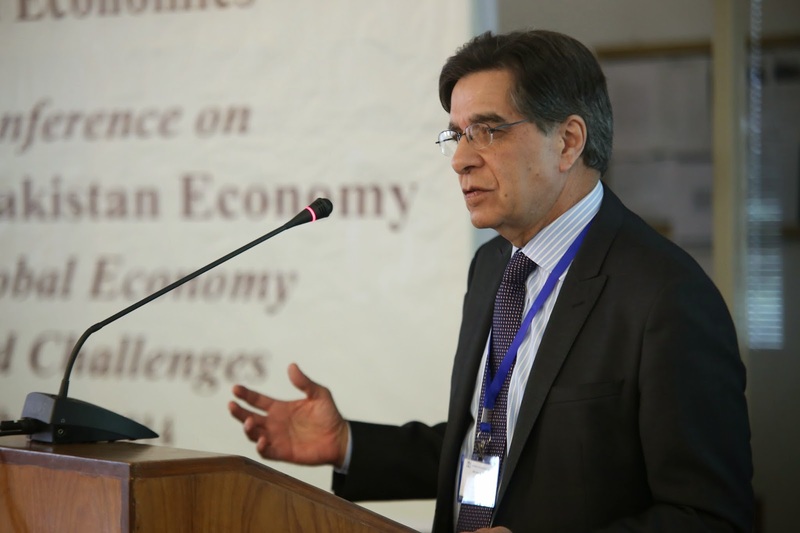 Mr. Rehmani said that Pakistan is land of opportunities and modern trade is evolving. He also talked about the modern trade formats. 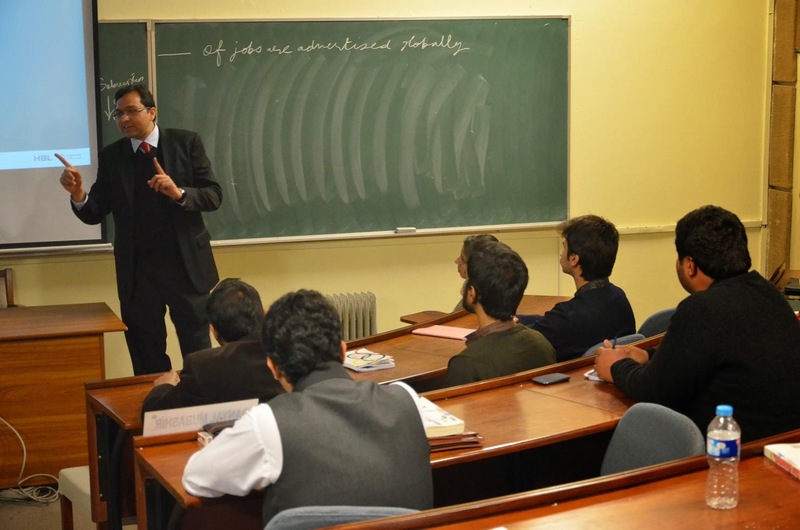 On Friday, February 28, 214 , Mr. Kenan A. Siddiqui, the Regional HR Head HBL visited Lahore School and delivered a lecture on Interview skills, Resume writing and grooming to the BBA students. Also, Mr. Kenan in his lecture gave a brief introduction of HBL and different banking areas, business and support functions long with core business dynamics. He then spoke about different techniques of resume writing, tips on how to make a resume attractive, the roles and career paths graduates could follow and important skills required for certain jobs. The speaker also talked about the interview skills, how a candidate should prepare himself for an interview, the makes and breaks of an interview and some important tips on how the candidate should dress up for an interview and what the interviewer expects from the candidate. 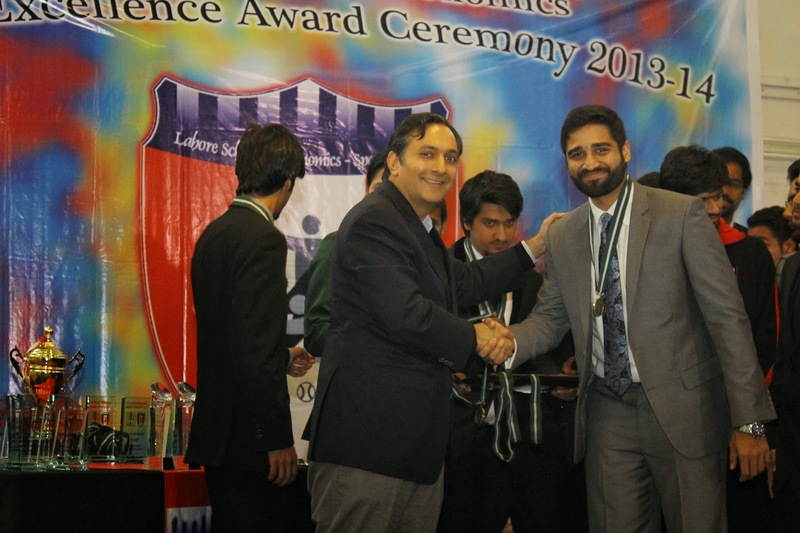 Lahore School Excellence Award Ceremony 2014 was held on February 28, 2014. Dr Azam Chaudhry, the Dean of Economics was the chief guest who gave away the prizes to sportsmen for their performance in different sports throughout the year. 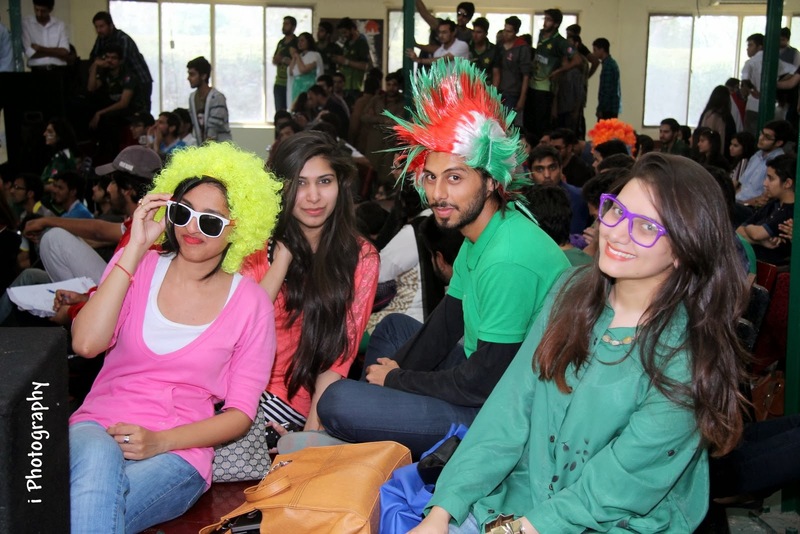 In addition to academics, Lahore School of Economics is distinguished in the fields of sports. 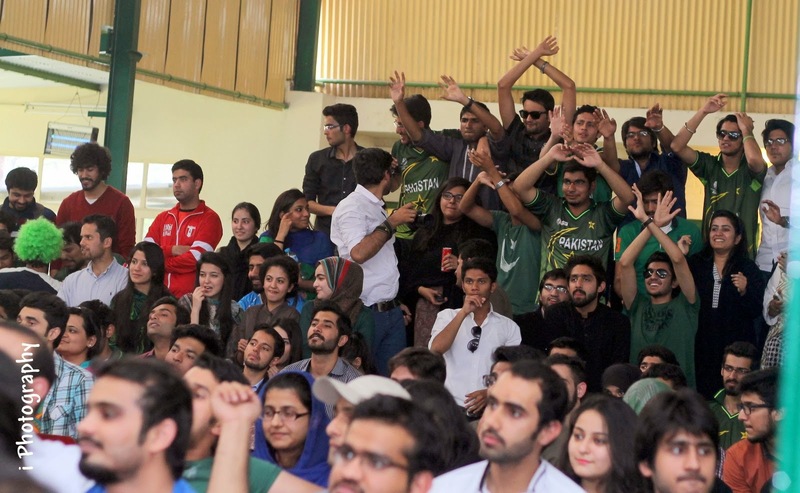 Lahore School students not only have been winning sports competition at different levels but many of them are representing the School in national teams. Here are some of the images of the Award Ceremony 2014.